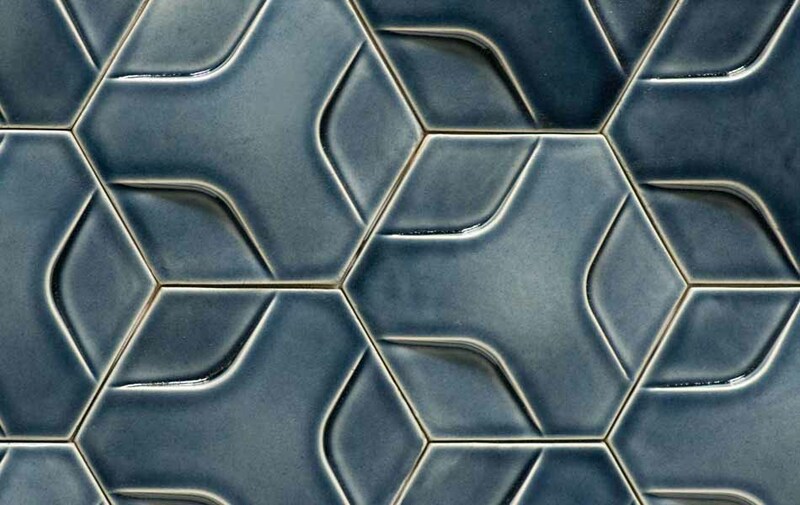 ModCraft offers made to order field tile to use on its own or along with our dimensional tile. Our standard sizes are 6″ x 6″, 3″ x 6″, 3″ x 9″, 3″ x 12″, 4″ x 10″, and 4″ x 12″. However, we are willing to make custom sizes to meet your particular needs. NY State Senator Terry Gipson paid a visit to the ModCraft facililty the day after we received the manufacturing award from Dutchess County Excellence and Development awards. Here are a few shots of David showing the Senator some of our new equipment and the process involved in making handmande wall tile. It was a pleasure to show him around ModCraft and it’s great to have a Senator who values small business efforts. We are very proud to have been awarded the DCEDC (Dutchess County Economic Development Corporation) 2013 Business Excellence Award for Manufacturing. The support we get from our community is amazing and we are extremely happy to be here. 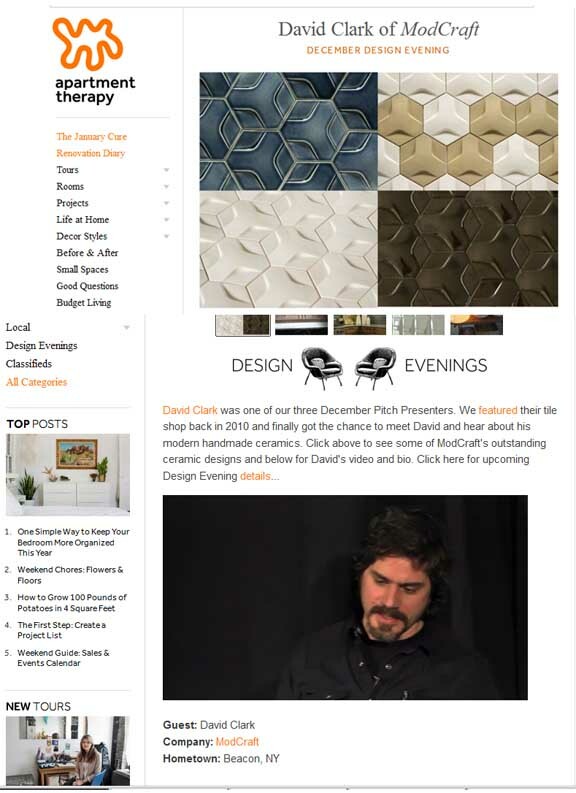 Please Cast Your Vote for ModCraft’s latest dimensional tile design HEXON. We are proud to be among the many excellent designs in the Wallcoverings and Treatments category in Interior Design Magazine’s Best of the Year award. We are up against some solid competition so we would appreciate your support! You can cast a vote for us here! Voting ends Friday, October 11th. Thanks! ModCraft was chosen again this year to be part of the Interior Design Spring Market Tabloid. Featured here is our ModCraft modern tile Roundhouse in our new stannic glaze. Thanks Interior Design Magazine. This is what Alexandra, our Peak tile giveaway winner, did with her prize. We love her mix of modern tile with illustrated flat tile! Innovative. ModCraft Valley tile in Amber glaze was recently used by Forma Interior Design Group of Kazan, Russia in this luxury bathroom. Forma’s web-site of amazing projects can be found here: Forma.